Amazon says it received 238 proposals from cities and regions hoping to be the home of the company's second headquarters. Massachusetts, Maine, New Hampshire and Rhode Island have all submitted applications. Amazon said Monday that it received 238 proposals from cities and regions in the United States, Canada and Mexico hoping to be the home of the company's second headquarters. The online retailer kicked off its hunt for a second headquarters in September, promising to bring 50,000 new jobs and spend up to $5 billion. Proposals from cities, states and regions were due last week, and Amazon made it clear that tax breaks and grants would be a big deciding factor on where it chooses to land. Boston is among the communities that submitted applications. 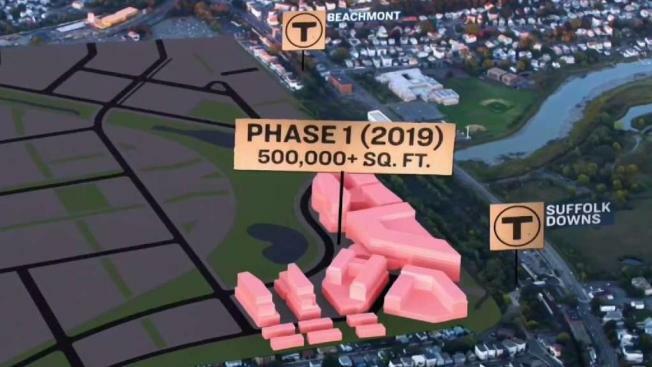 Suffolk Downs topped the city's proposed sites. The city's 218-page pitch touts the former horse-racing track as the perfect location because of its proximity to the airport, downtown, and the waterfront. Boston's proposal makes no mention of tax breaks. Maine, New Hampshire and Rhode Island also made pitches, promising Amazon a way to tap into Boston's high-tech aura while avoiding its congestion and high prices. Amazon did not list which cities or metro areas applied, but said the proposals came from 43 U.S. states, as well as Washington, D.C. and Puerto Rico, three Mexican states and six Canadian provinces. In a tweet, the company said it was "excited to review each of them."